Details, Details Details. 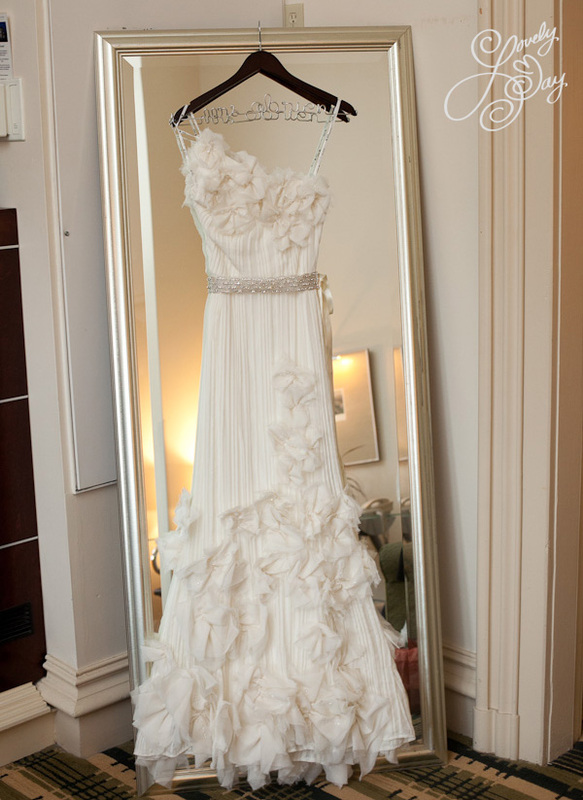 Marlene & Brendan didn’t miss a single detail with their intimate October 1st wedding! Love the hanger. I had one for my wedding too. Check out LilaFrances. Following the ceremony we took a little stroll down Delaware Avenue. I’ve worked with this exact car a few times this year and can honestly I never notice the license plate until their wedding. Most people that know me know that I have a love affair with good food. Tempo is one of my favorite restaurants. Their food is delicious and the service is always outstanding!! I really should be careful when blogging menus as I’m now craving their Gnocchi! Marelene & Brandon skipped the traditional sign in book and instead decided to make a time capsule and will open in on their 5 year anniversary. What a cool idea! I’ve never ever blogs envelopes before but their guests were pretty creative! Congratulations Marlene & Brendan, I wish you both all the best! I truly enjoyed you wedding! Thank you so much!